Stirrings in the galactic graveyard that is the Independence War II mod scene! Long-thought-dead mod Torn Stars: Unstable Space, has seen a beta release, as of today! Unstable Space adds a whole host of functions to the minimalist, elegant HUD already present in Independence War II, including email, buying and selling, hiring and firing, factional reputations, and more. On impulse (the human tendency, not the distro service), I bought Flotilla, by Blendo games (maker of the stylish freebie Gravity Bone). 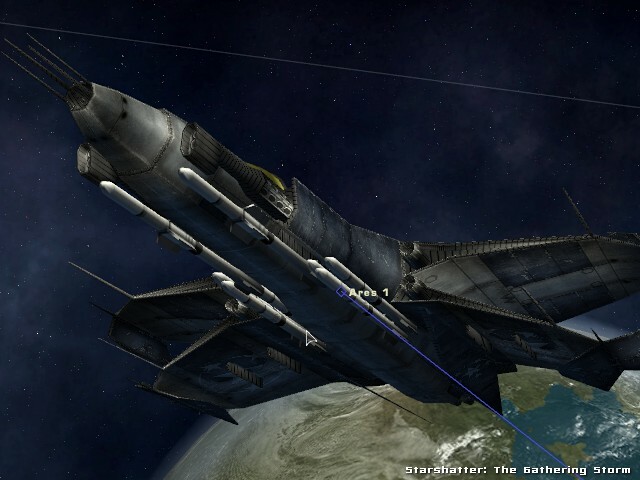 It’s a ten dollar turn-based tactical space battler, with shades of Strange Adventures in Infinite Space. It’s pretty. 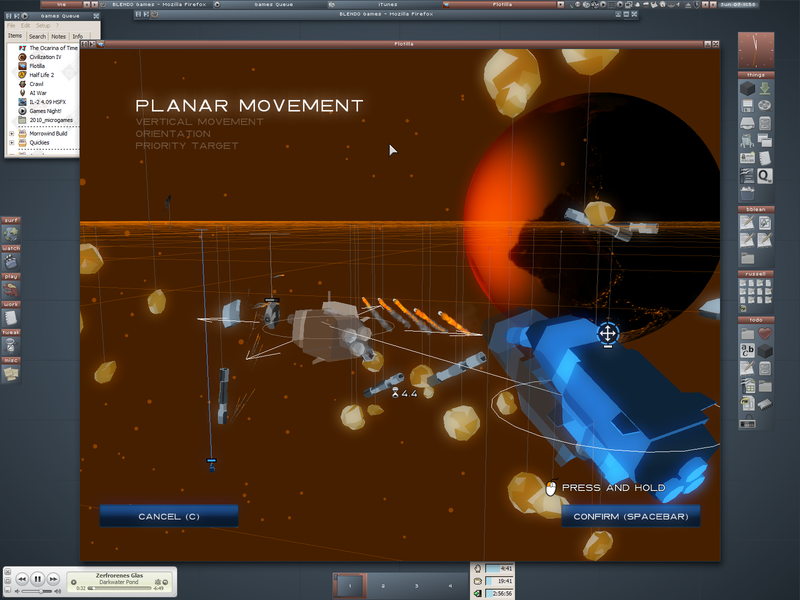 For a game based in full-3D space, it’s also fairly easy to learn. Surviving battles, though, is hard. Fine-tuning my attack of a beam frigate in between turns. You must carefully position your ships to avoid exposing weak spots, while targeting the weaknesses of your opponent. The game is roughly in two pieces. The first is an overworld-style map, with quick jaunts between planets, where you will experience plot points such as crocodiles with space madness and human scientists offering ship upgrades. The second piece, and the heart of the game, are full-3D space battles between your flotilla, and other ships. Like a three-dimensional game of chess, you’ll maneuver your pieces in an orangey space, attempting to lure your opponents into vulnerable positions. It’s complex enough to require some tactical thought, but simple enough to learn in about ten minutes. Each game plays out a bit differently, but nearly every playthrough will have you engaging in mini-epic turn-based battles between your motley collection of ships, and other motley collections of ships. There’s quite a bit of motley going around. In my experience, each full game takes around a half hour to play out, though the game itself can be minimized to the taskbar if you need a break, as it won’t eat CPU time when minimized. There doesn’t currently seem to be a way to save games, but that could well change. 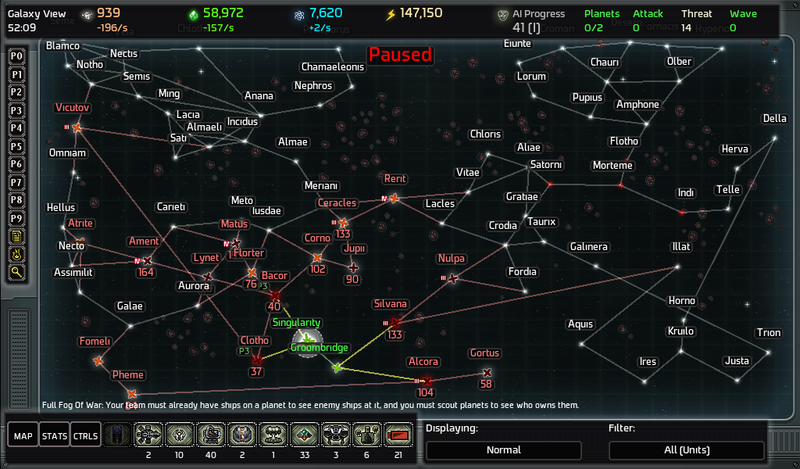 Flotilla also offers a 'skirmish' mode, in which you can choose small fleets of ships to face off against each other. 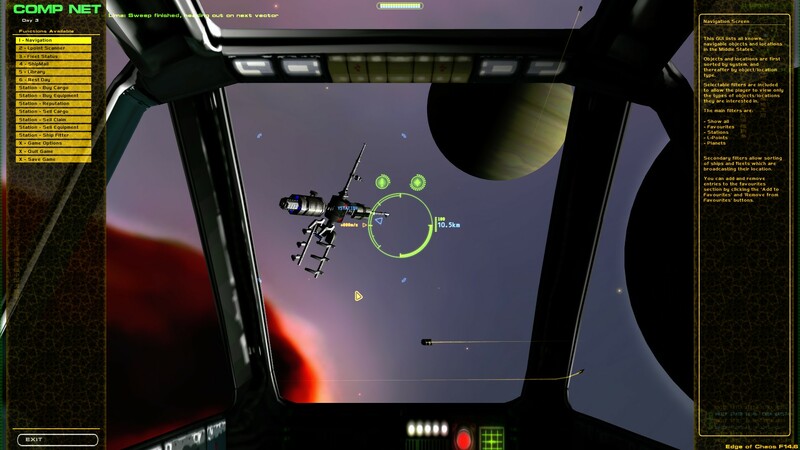 The style of the game will turn away those used to dark, dead serious games, as this is a galaxy populated with intelligent farm animals flying neon-bright ships, angrily sabre-rattling at each other. Battles play out to the tune of delicate étude-like piano pieces in bubbly orange space, like a terrible champagne. The visual style itself is solid and pleasing enough, but has the feel of something that is still awaiting a few more brushstrokes of varnish. The overall presentation is different enough that this can be forgiven in the short run. 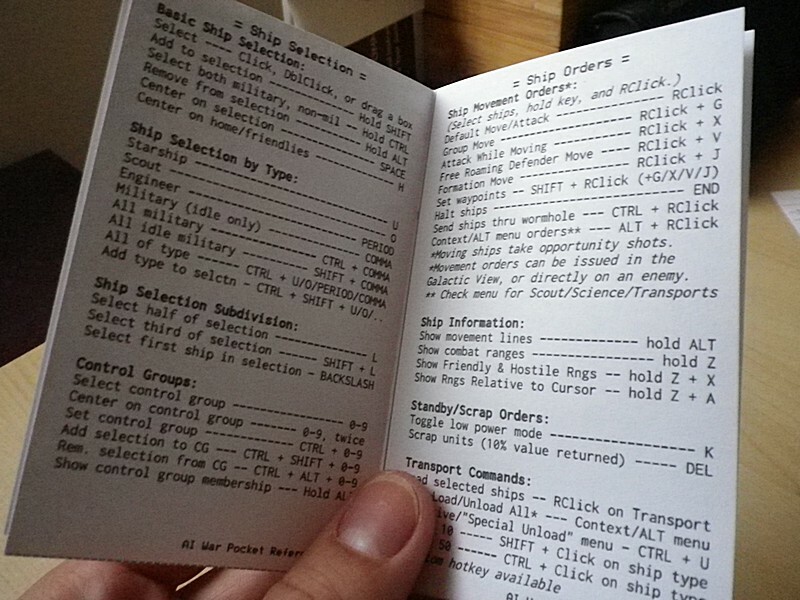 As a game, Flotilla is complete and solid, but it could use a few extra features, such as a chase camera and a way to speed up the hands-off portion of battles. Don’t let this stop you, as the developer, like many independent game producers must, released the game while still tweaking the overall finish of the game. Think of yourself as a patron of the arts, and that ten bucks that could be three lattes could very easily help this guy put the finishing touches on what is a unique and fun game. It’s also notable that there is no DRM, not even a serial, required for the game. Once purchased, you download the game and install it anywhere. Updates are released in separate patches that can be downloaded and applied at any time, again, with no DRM or accounts required. Though Flotilla has been released early on the PC, it’s developed using the XNA framework, and will soon be available on XBOX, which may well garner a larger audience. It’s saying a lot about the design that it will likely fit both the PC and console platforms quite well, and currently supports split-screen play on the same device for two players. 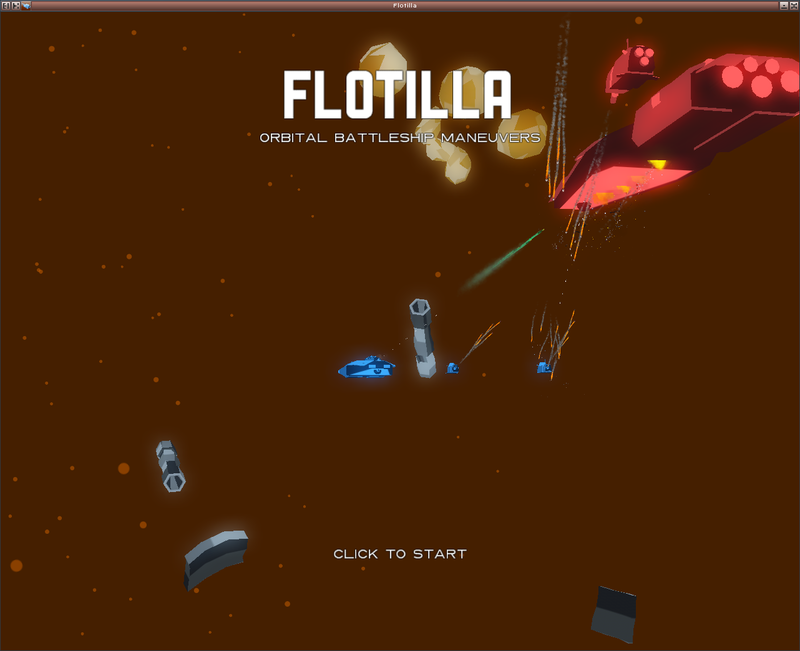 Download a free demo of Flotilla here.